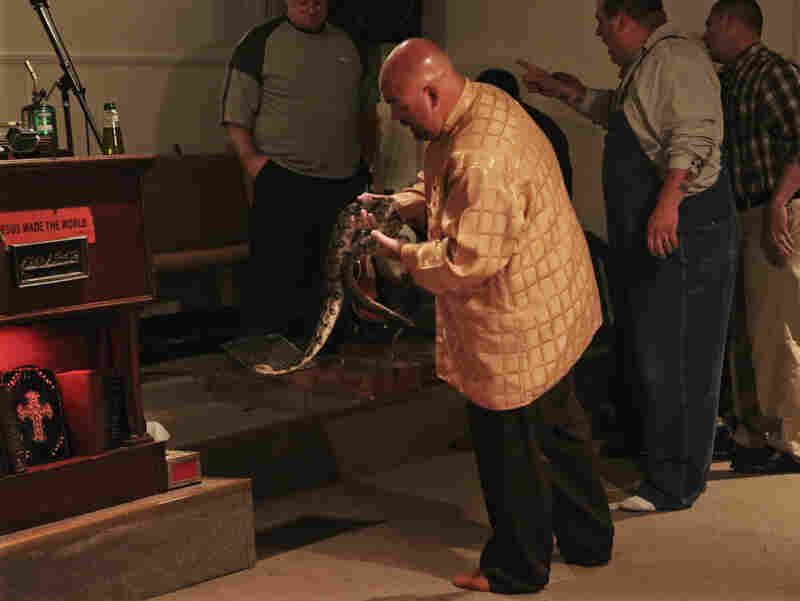 Serpent Experts Try To Demystify Pentecostal Snake Handling Earlier this month, NPR reported on a small group of Pentecostal Christians who handle snakes to prove their faith in God. We wondered why the handlers are bitten so rarely, and why so few of those snakebites are lethal. Herpetologists who have studied the snake-handling phenomenon have some theories. Boxes housing snakes sit on the floor of the Full Gospel Tabernacle in Jesus Name in Middlesboro, Ky.
One of the pastors they level criticism at is Jamie Coots, who regularly takes up serpents in his Full Gospel Tabernacle in Jesus Name in Middlesboro, Ky. Coots was featured in NPR's story as well as a National Geographic reality series called Snake Salvation. In a follow-up call, I asked him how long his snakes usually live. Pastor Jamie Coots holds a snake at Full Gospel Tabernacle in Jesus Name Church of Middlesboro, Ky.
"Average is probably three to four months," Coots says. The Kentucky Reptile Zoo reports that well-cared-for snakes live 10 to 20 years or longer in captivity. "People who don't believe in it are gonna say anything to try and discredit us, you know, to say that it's not God actually doin' it," he says. Coots was arrested in 2008 by the Kentucky Department of Fish and Wildlife for trafficking in illegal venomous snakes. He was convicted and fined. Today he possesses permits to keep and transport snakes legally. He says any suggestion that the serpents they take up in church are not deadly is ridiculous. Handlers get bitten all the time, he says, and every few years someone dies. 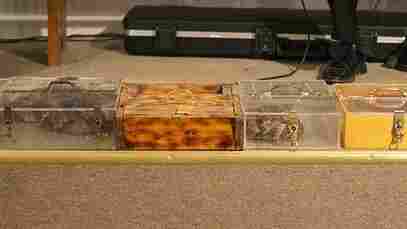 He invites his critics at the Reptile Zoo to come to his church to see if the anointing power of God is a sham. "If they want to bring some of theirs down here, we'd readily handle them. Or if they want to come down here and free-handle ours and see if they don't get bit, they're welcome to do that, too. We get fresh snakes all the time," Coots says. An entirely different view of religious snake handling comes from Whitfield Gibbons, an authority on snakes of the Southeastern U.S. at the University of Georgia.